This entry was posted in Allied Personnel Services, Job Search, Jobs, Lehigh Valley on April 20, 2018 by aps. 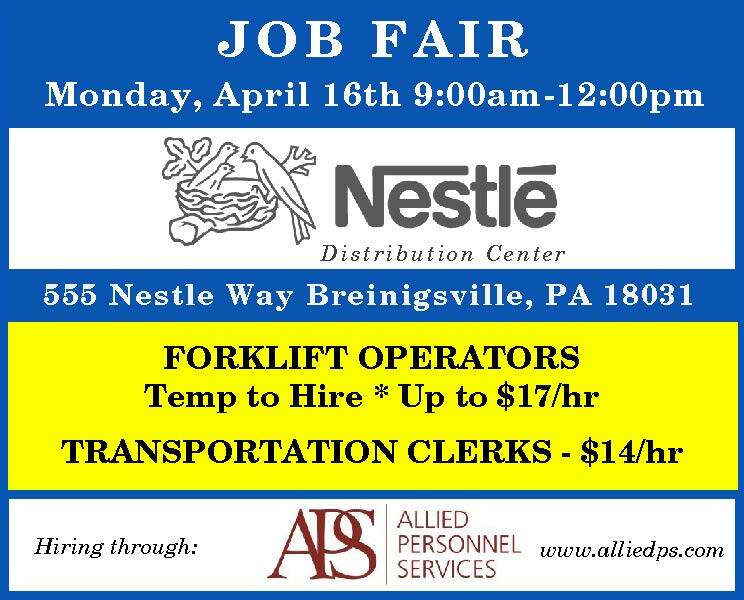 This entry was posted in Allied Personnel Services, Job Fair, Job Search, Jobs, Lehigh Valley on April 12, 2018 by aps. Interviews can be stressful. Allied has some easy guides to help you through any interview process. Start by checking our guide on how to dress for an interview, and review some quick tips for a successful interview. (Just make sure you don’t prepare too much!) Finally, follow these steps for ending the interview and proper follow-up. Before leaving, ask the interviewer what the next step is. This will allow you to determine the best way to follow up. If you are asked to call the interviewer about the next step on Wednesday, call on Wednesday. Not Thursday…Wednesday. This is often a test. An employer is evaluating your ability to follow directions and follow-up properly. These skills are vital to any position. If the interviewer said she would call you Friday and you haven’t heard from her, call on Monday. If you must leave a message, be polite and brief. If after leaving a message you haven’t heard anything in 2 more days, send an email. Again, be polite and brief. If you haven’t heard 2 days after that, assume you were not selected and move on. Do not give in to the temptation to call and/or email again to tell the employer they missed out. This will eliminate you from any future consideration should other opportunities within the company arise. 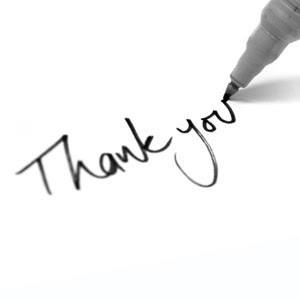 You should send a separate thank you note to each interviewer. The note should be handwritten on a conservative card and be brief and professional. I enjoyed meeting with you today regarding the administrative opening with your company. I believe that my experience and your needs will be a good match. I look forward to hearing from you about the next step in the process. Thanks again! If plans were made for a second step within the next 1 – 2 business days, it would be appropriate to send an email rather than a note card. Having trouble landing that interview? Let Allied help! 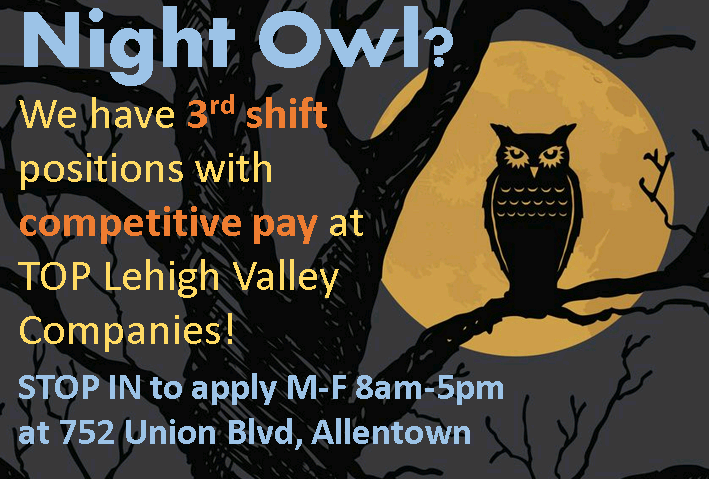 Apply today and let us connect you to the Lehigh Valley’s top companies! This entry was posted in Allied Personnel Services, Career Advice, Interviews, Job Search, Jobs, Lehigh Valley on April 3, 2018 by aps.